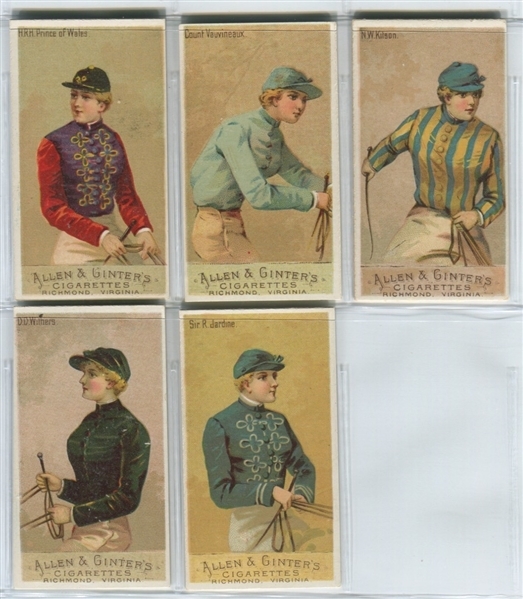 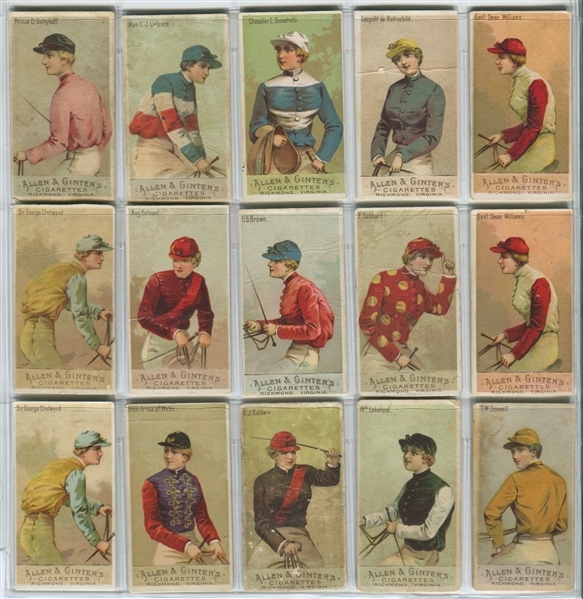 The N22 Allen & Ginter Jockeys set is a 50 card set that can be found in one of two different formats. 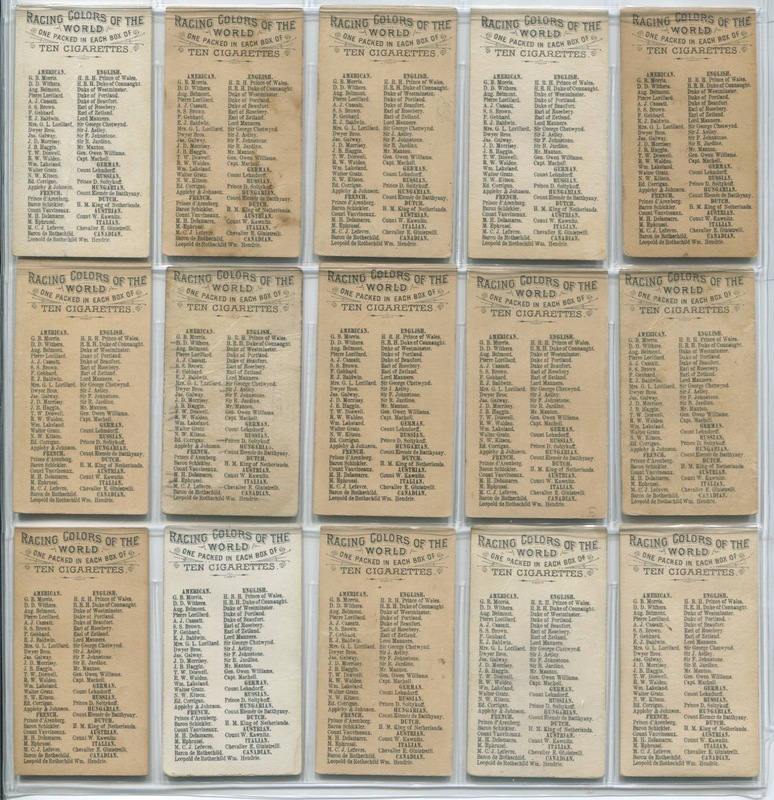 The cards can have a white border around the full card or have full bleed photos. 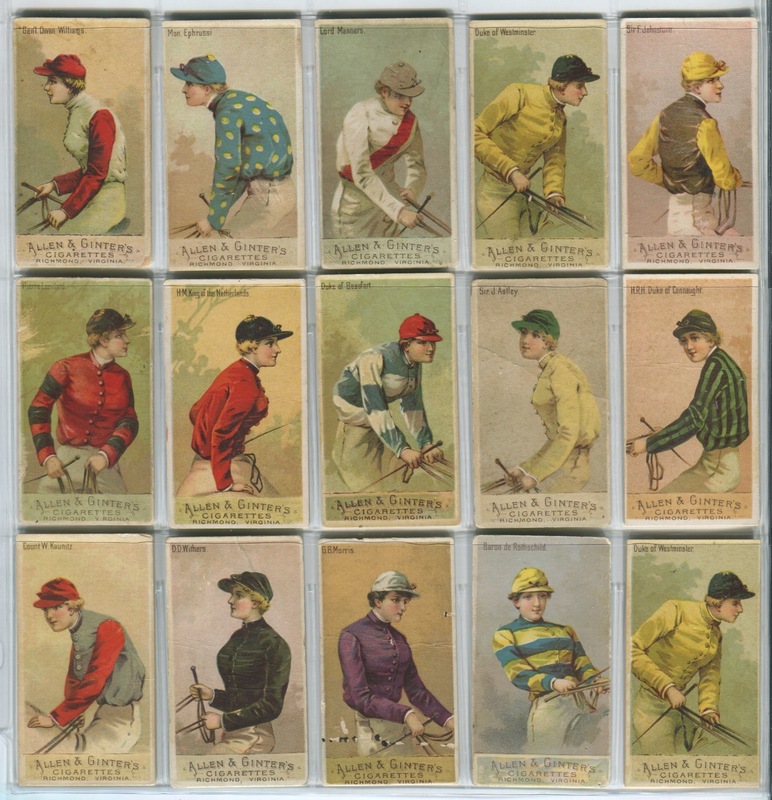 Both are sized the same and neither seems to be particularly more difficult than the other. All 50 cards are available in both formats. 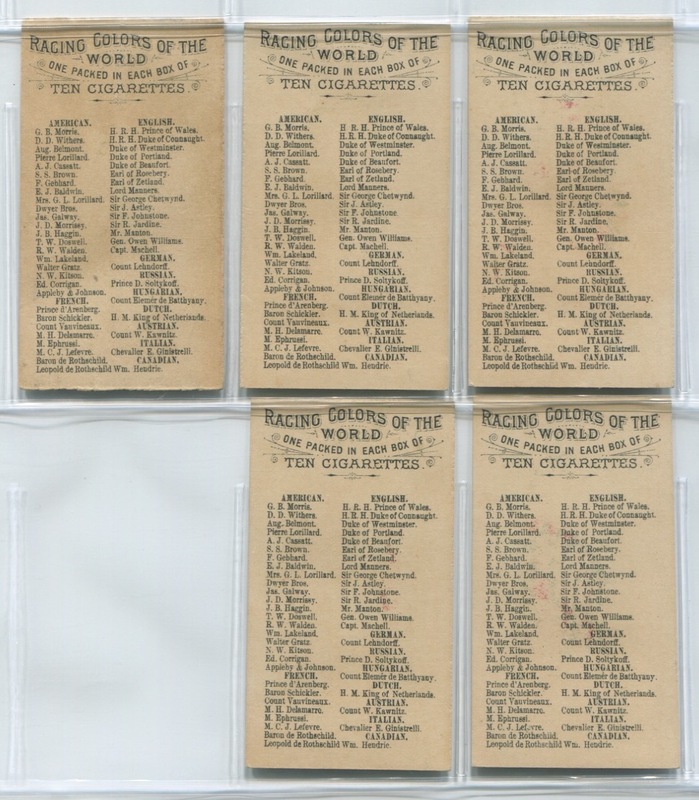 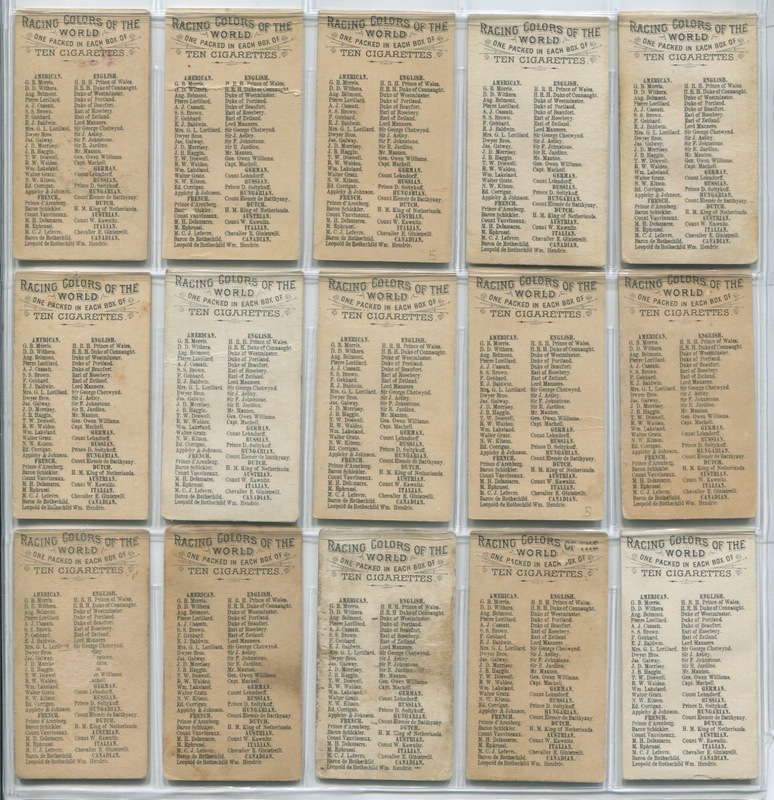 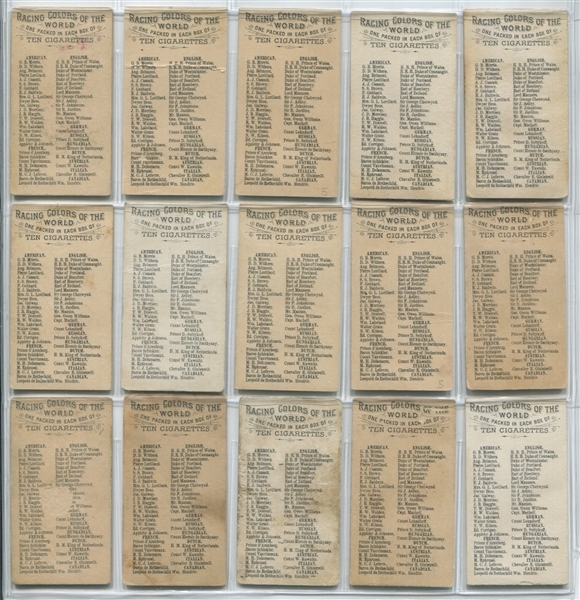 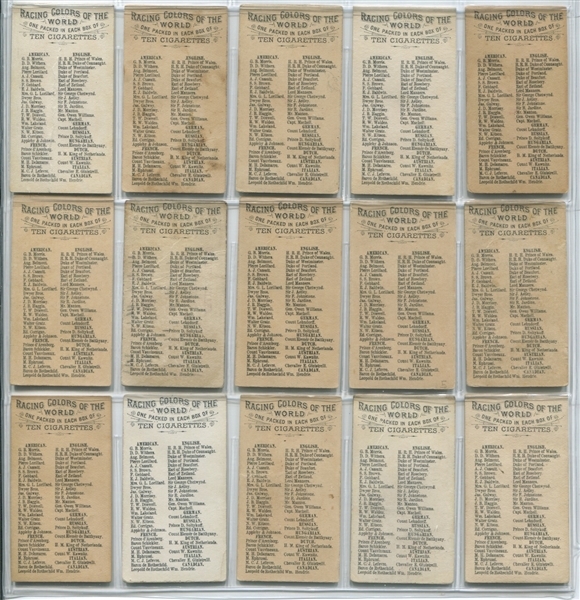 This lot of (35) cards are all white-border format cards and are in G to VGEX condition, averaging a hair below VG. The cards have clean backs and there is very light duplication in the lot. A good chance to get well over 1/2 the set with presentable, lower mid-grade cards.